This is Rebecca and her third son, Chace. I watched this beautiful lady get married on the weekend. Her husband was friends with my husband since Kindergarten, and friends with me since the first year of high school. We’re nearly as smitten with her as her new husband is. And that’s saying something because he loves her to pieces. Chace was sick with fevers and sore ears (made worse by the extreme wind that’s lashing the east coast). On a day that’s exciting and overwhelming even for adults, it was a blessing to see a sick and upset little boy find a moment of peace and calm with his mama. 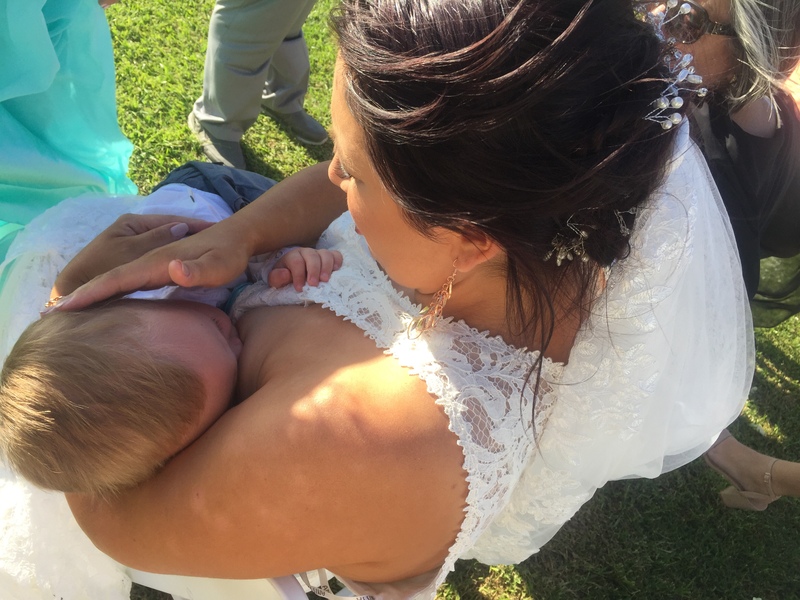 She was unable to breastfeed her first two boys, but had a very successful breastfeeding journey with her third son. She continued breastfeeding him through her fourth pregnancy, tandem fed for a while and is now breastfeeding her third son after her fourth son weaned.